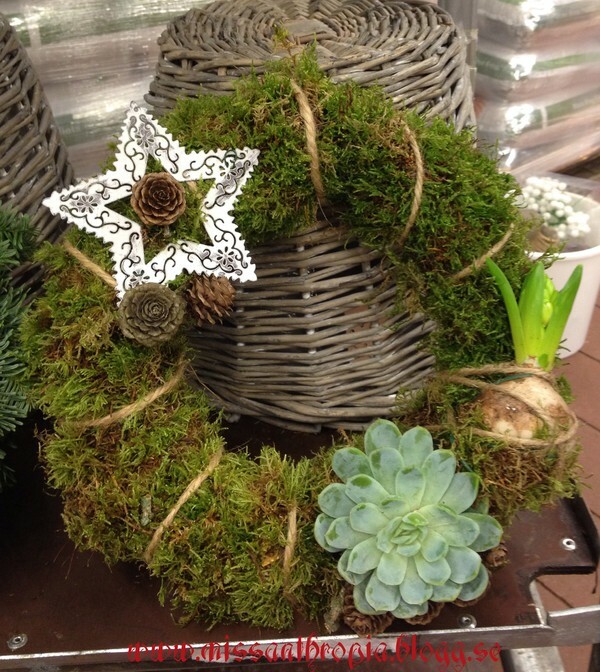 This passed week I held a course in making your own wreath at work for about 20 customers. I was so so nervous about talking in front of people. It must have gone well because in the end everyone seemed to have fun and enjoyed themselves making their own Christmas wreath. 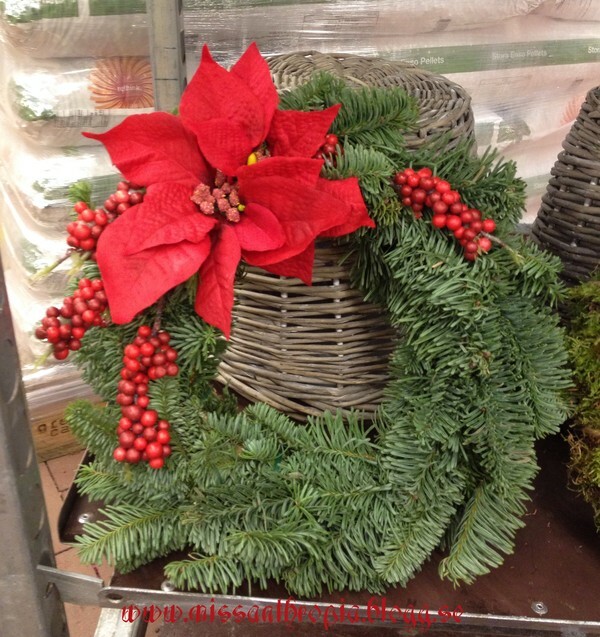 I even showed how to put together a "Christmasy" group of flowers. I have no idea whats it called in English! I had put together some examples for inspiration. I designed them a bit different from the traditional ones because our store is swamped with those anyways. This one have lights wrapped around the ivy. Birger at work told me he hated it but Björn loved it so much that he asked if he could bring it home. And a couple of ladies actually bought some lights of their own to make something similar at home. Funny how different ones style can be. Sorry about the unglamorous background. The photos are from work. This one Birger loved! And this one I think was more my style as well. 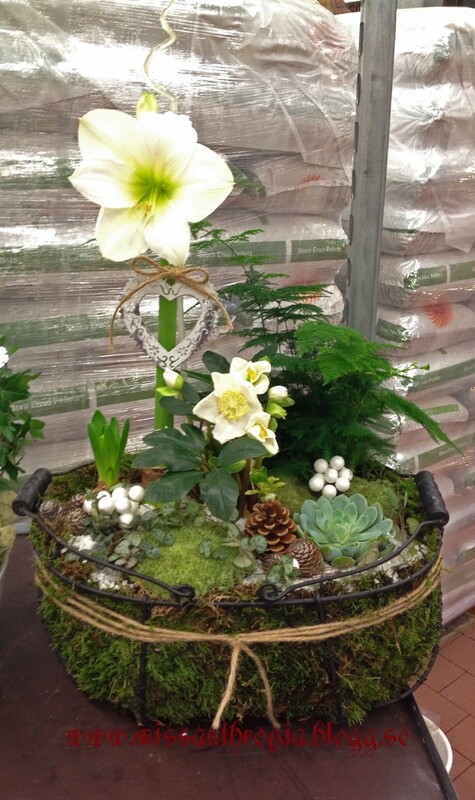 Lots of moss, cones, natural decorations and white flowers. A lot of the flowers is still green, it will look even better when they bloom. I made two different wreaths for them to get inspired by as well. Also here I tried to stay away from the more traditional because people have seen them a thousand times anyways. Here is one with berries and poinsettia. 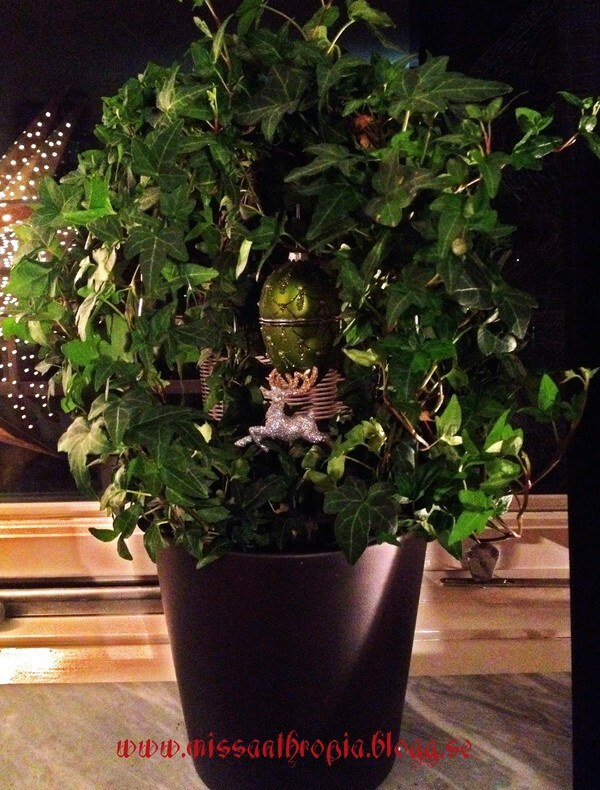 This I brought home and decorated a bit more with stuff we don`t sell at the store..
And here is one I did in green moss. 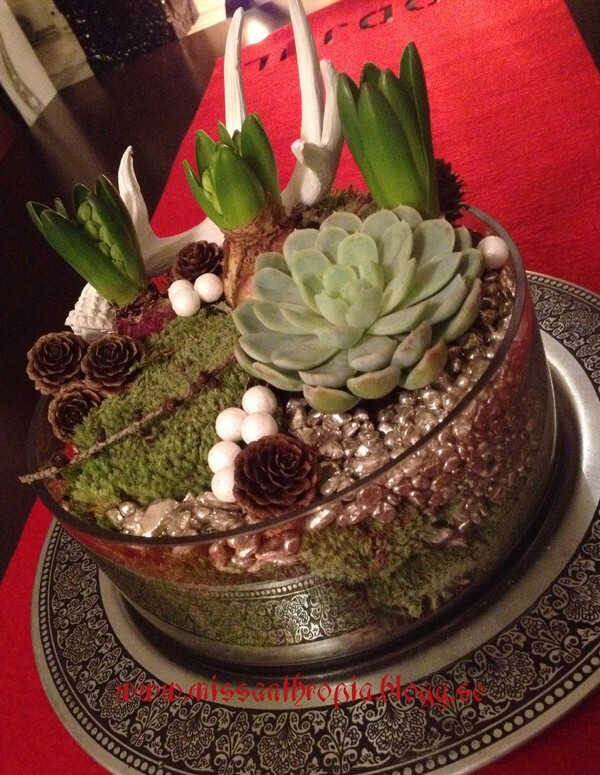 Everyone seemed intrigued by the fact that you could put live Hyacinth and Echiveria plants on it. 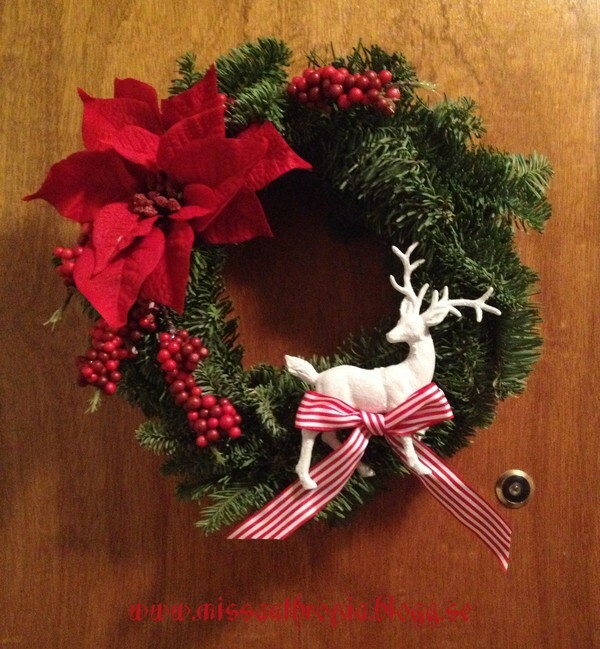 This Christmas I am obsessed with deers and the colors red & white in combination... I bought some other flowers too in this color combination. Maybe I can post a picture later when they bloom. That if I can remember to do it. 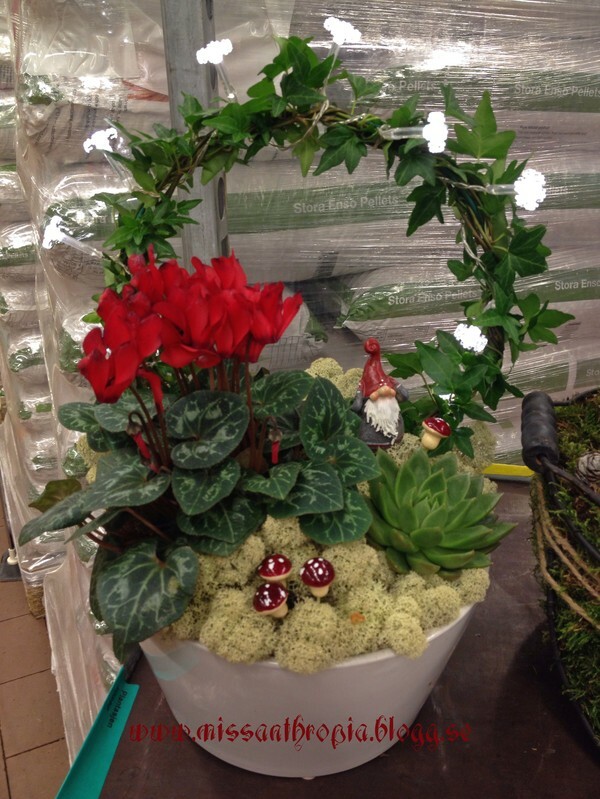 Here is my own little group of Christmas flowers planted with lots of moss, cones and stones. I have them in a glass bowl because I love to see their white rots run through the moss. so pretty. The flowers are hyacinths yet to spring out in bloom. They have a amazing scent that really smells like Christmas to me. I bought mine in blue and white. They also come in pink but that really isn`t my color. The white deer antler in this are of course not a real one. Cruelty free all the way. I just love these dark December nights. 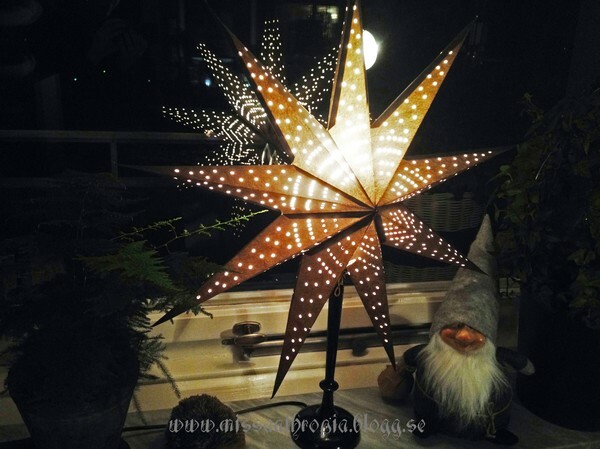 It`s so cozy and I have my pretty black star up in the window. Here you also can see my new little elf, he looks just like the little trolls living under the tree roots in Ronia the robber`s daughter by Astrid Lindgren. I also have a little hiding place in my ivy. Do you see the little Christmas egg hanging in the middle? You can open it and put tiny treasures in it! And of course a little sparkly deer is jumping around in the leaves! And this new lantern is my absolute favorite new thing this winter. 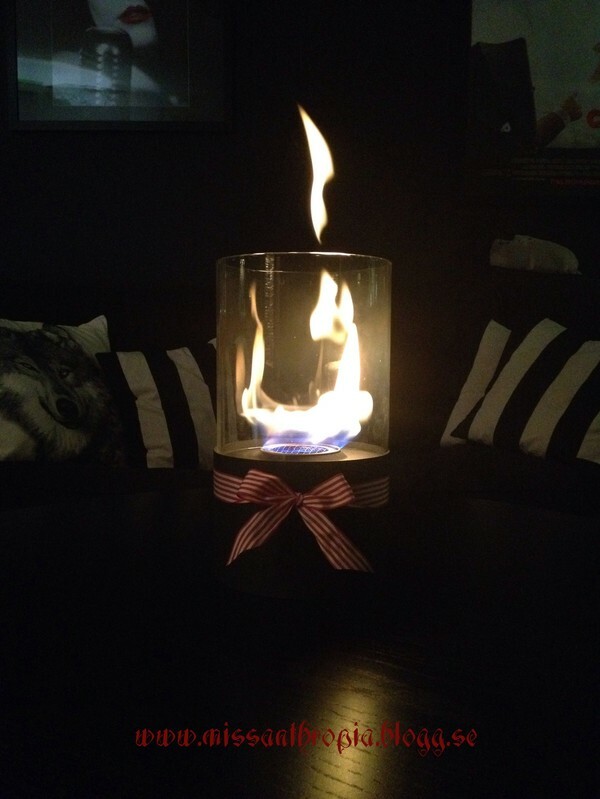 I don`t have a fireplace in my tiny apartment, but I have fire! 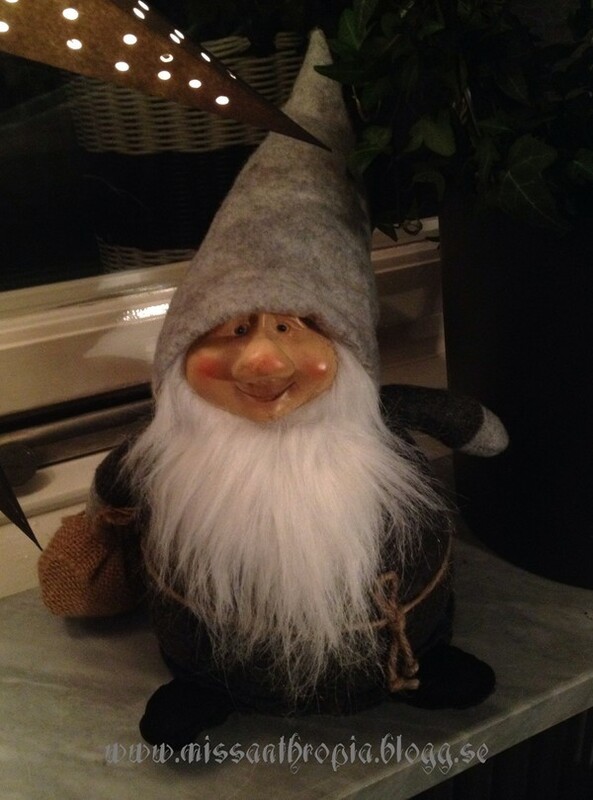 Du är så grym på det du gör gumman. 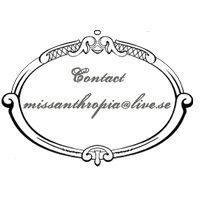 Kreativ och fiffig som få.